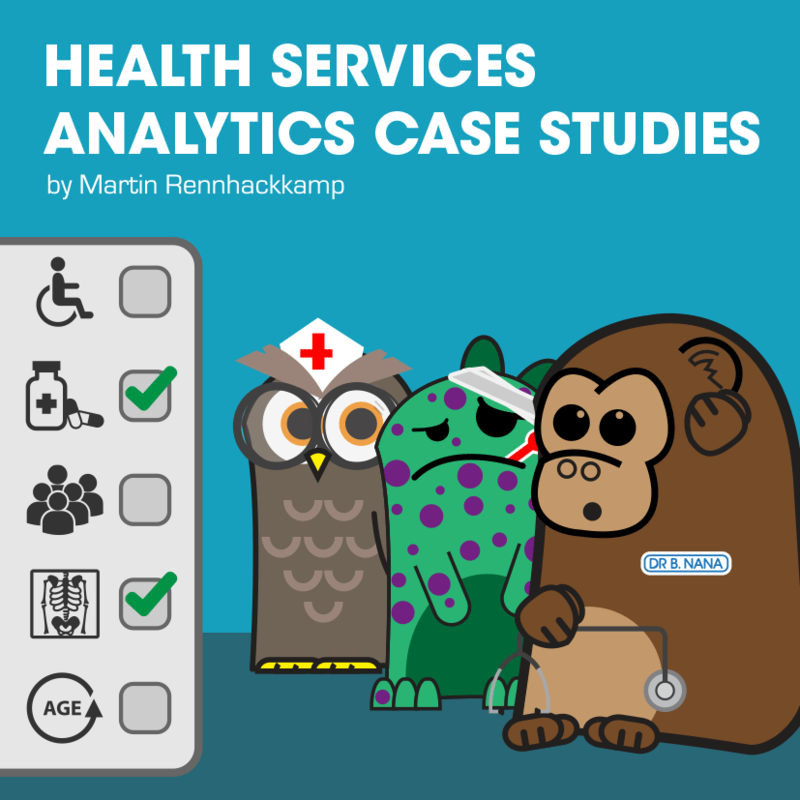 I n a previous blog I discussed the use of advanced analytical modelling to improve business processes and non-clinical patient outcomes in hospitals. In this post I shift the attention to case studies of advanced analytical modelling applied to the work done in Radiology and Pathology. Staten Island University Hospital uses advanced analytics to analyse equipment utilisation in their Radiology department. Their objective is to increase machine usage and to reduce patient waiting times. They use a product called PowerScribe 360 Analytics to quantify and analyse how their equipment is utilised. To analyse variances in radiologist reports, they monitor ordering patterns, and they assess and react to changes in patient turnaround times. Although radiology has employed clinical analytics for more than a decade, the field is in its infancy. The field is so wide that the possibilities are endless. The main challenges are overcoming the technological, economic, political and interoperability hurdles. The application of advanced analytics in pathology is mostly documented in very detailed research papers, and cover the subject at a very advanced clinical level. Researchers from the Sharp Memorial Hospital in San Diego, CA, published a research paper in 2005, where they applied dynamic statistical modeling to clinical laboratory data. The study included 645 formalin-fixed, paraffin embedded breast cancer samples observed from 1999 to 2003. The data was analyzed with a Bayesian network utilizing DecisionQ Faster Analytics. The model eliminated age and biopsy site as predictive markers and identified relationships between the Ki67 proliferative index, tumor size, and Combined Nottingham Histologic Grade (CNHG) as well as between CNHG and ploidy (the number of sets of chromosomes in the nucleus of a cell), differentiation, tumor type, and estrogen-progesterone status. The model, with a positive predictive value ranging from 55.6% to 82.6% with a mean of 69.2%, assists the clinician and researcher in using prior knowledge, outcomes experience, and pathology data to hopefully make more meaningful diagnostic and treatment decisions in an evidence-based validated framework. In a paper published in Science Translational Medicine, computer scientists at the Stanford School of Engineering and pathologists at the Stanford School of Medicine reported their collaboration to develop a model called Computational Pathologist, or C-Path, a machine-learning-based method for automatically analysing images of cancerous tissues and using that to predict patient survival rates. Using measurements of tumor structures, and comparing the results against known data, the models were trained to better predict patient survival and gradually they figured out what features of the cancers matter most and which matter less in predicting survival. Human pathologists usually measure three aspects of breast cancer cells (what percentage of the tumor is comprised of tube-like cells, the diversity of the nuclei in the outermost (epithelial) cells of the tumor and the frequency with which those cells divide) in order to qualitatively stratify breast cancer patients into three groups with different predicted survival rates. The analytical model, however, is not affected by that bias, and incorporates thousands of additional features, whose clinical significance has not previously been evaluated. C-Path, in fact, assesses 6,642 cellular factors. Once trained using one group of patients, C-Path was asked to evaluate tissues of cancer patients it had not checked before and the result was compared against known data. Ultimately, C-Path yielded results that were a statistically significant improvement over human-based evaluations. The model identified structural features in cancers that matter as much or more than those variables that pathologists have focused on traditionally. In fact, they discovered that the characteristics of the cancer cells themselves, as well as that of the surrounding cells, known as the stroma, were both also very important in predicting patient survival. David Ecanow, MD, the radiology department’s vice chair for quality at NorthShore University HealthSystem in Highland Park, Illinois states that most of the data currently used in radiology to perform clinical analytics are sourced at the department level, but richer meaning and benefits will be derived through access to information sourced from way wider than the department. By leveraging other systems (such as in pathology), one can perform tasks like pathology–radiology correlation analytics. Bradley J. Erickson states that patient analytics can still be improved considerably by utilising a richer set of information. The information used today includes the results of simple laboratory tests, such as those for creatinine level or pregnancy. In the future, he foresees that they will use genetic and epigenetic information, and in turn, start to provide even more predictions and insights using that type of information. Eliot Siegel, MD, diagnostic radiology and nuclear medicine professor and associate vice chairman for informatics at the University of Maryland warns though that the application of advanced analytics in healthcare is changing so rapidly that it can be difficult to stay abreast of the latest developments, and convincing organisations of the tools’ benefits can be problematic. It should be clear from these case studies that even though a lot of pretty advanced analytical modelling have been applied to radiology and pathology, it merely touches on the tip of the iceberg. There is so much more to explore and to analyse, that the potential for research projects in this field is basically endless.